"ExecVision, an excellent way to capture the sales process"
Ease of use. Ability to share with clients and coworkers. Capturing client information and the dialogue that is part of the sales process. "Improve your telephone service in your sales"
When a call is sent to another partner to also analyze it, you can send a part of the call or highlight the parts that you consider most important. This saves time and does not have to see the call from the beginning to the end, but focus on the elements that are considered most important. The possibility of highlighting the improvements in the system helps to increase the level of attention that we give in our company, since through this system workers can collaborate by punctuating the calls and observing which has been better and that has been involved in that call in the chosen by the group. It is necessary to get used to the operation of the platform, understand the system of comments, scoring and analysis. It requires a period of learning by your workers. Improving telephone service within a company not only helps increase your sales, but also to obtain more loyal customers who trust your company and your brand. ExecVision is a tool that helps integrate to achieve that those aspects mentioned above are met. In our company we have managed to improve the learning we have in customer service through the analysis of the calls we make in ExecVision. This system has tools that allow us to carefully review all calls to check details and see what we can improve or what we should change to better serve our customers. The collaboration and possibility of adding comments within the system also helps to work as a team to see possible errors, failures and what should be done to improve the quality of the team globally. "Increase in quality in telephone service"
All the calls that are made are located in the same place within the application, which makes it easier to review and answer the calls without having to waste time looking for them within the software. Setting up the platform and functions does not take long, it has an intuitive interface that allows you to adapt the program to your liking. It is also easy to forward calls to any other person in the company when you want to carry out a review process, this allows calls to be audited also and the connection between employees from different areas to be done efficiently. It is not notified when new improvements are made or new features are added within the program, so many times we see something new and we do not know how it works and we have to be reviewing it. It would be nice if in future updates they would better inform about the changes they make within the program. With Execvision you can comprehensively manage all the calls of your company and it also helps customers to be more satisfied by having a more complete service. Now we manage the calls better, which allows us to have more feedback with customers and we can serve them better than before. Execvision has helped us to record calls, review them, forward them to other sections and make comments about them. This has allowed different sections of the telephone switchboard of our company communicate better and we can perform comprehensive and much more comprehensive attention to our customers. Sales through telephone calls is also easier for us to manage with this software, since calls and comments between the different sales areas of the business area can be answered and re-sent. I love being able to hear how my SDRs naturally sound on their calls. I'm able to hear small details that could greatly impact their success. We are able to build a library of what "good" sounds like so they can learn and self-coach their calls. Finally, founder Steve Richard includes onsite training for your teams as part of the membership and his training is incredible. Sometimes there is a disconnect between Execution and our call platform which makes finding and uploading calls difficult. The Execvision team has been outstanding in working with us to resolve and their dedicated Customer Success Reps are awesome! I am not sure how much of this problem exists on their end or on the end of our platform. We are switching platforms since we aren't happy with it and moving to another so this should give us a great indicator of where the problem lies. I'm betting its the platform based on other issues we've had with it. This is a great tool with great support and education. Don't hesitate to use it as I highly recommend them. Don't forget about the in-person training that Steve Richard brings with your membership as it really helps with adoption. We've seen a significant increase in KPIs since implementing this! Standardizing what a good call structure sounds like and improving ramp time with new SDRs. This has been significant in helping us build out playbooks, continuously A / B test for improvement, and have a solid training manual for ramping new hires up to speed significantly faster. "Execvision - zeroing in on a call so that you can receive the feedback you need"
I can share either a whole call or highlight the specific parts that I would like to share so that I can receive feedback. Additionally, you can listen to the calls of your team mates. You can find out why the superstars are so super and why those who are struggling with success are having the issues that they are having. Ultimately, you will be able to collaboratively give feedback and constructive criticism so that the outstanding calls can be translated into best practices that everyone can benefit from. With such a tool, everyone's call, whether it is good, bad, ugly or indifferent, can be beneficial to the team. This in turn should allow our teams and your teams to achieve it's goals. For me, that means taking the prospects that I have been given and delivering better results, which for me, translates into business partners and resellers. So in a nutshell, my goal is to make the most out of what I have to work with. Unfortunately, it will not record in In 12 states—California, Connecticut, Florida, Illinois, Maryland, Massachusetts, Michigan, Montana, Nevada, New Hampshire, Pennsylvania, and Washington; where you have to have 2 party consent to record. If you have newbies or seasoned people who you need to help shore up their customer conversations, this is a good product for you to consider. Polishing my value proposition delivery, as well as my elevator speech, to determine the most effective and time efficient way to make the delivery without an objection due to a long drawn out speech from me. "Direct Sales Contributor - Love ExecVision"
I like that I can choose which calls I want my management to listen to. It is the perfect balance between being managed too little and being micro-managed. I have had other systems where I felt under pressure knowing that every call being listened to live. It is the easiest way to get feedback on a call while that call is fresh in your mind, and then implement said feedback on future calls. Sometimes, it is hard to actually see what is posted on the scorecard on my end. It is not a big deal to be honest, just nitpicking. No real business problems - I am just improving my call quality in this newer sales job I am in alot faster than I thought I could. I need explicit feedback on calls and ExecVision gives me the ability to receive that and then put it in motion. "Best new Sales Enablement tool I've seen this year"
I love the ability to annotate each call and then be able to share that section of the call with others in the organization. I love being able to save calls and parts of calls in the library. I'll be using those calls to train new hires and help members of the team that may be struggling with certain sales skills. I wish you could require a call to be annotated or comments left by the rep. b/f it was sent over for review by the manager. I don't think most managers spend enough time call coaching their reps. ExecVision makes it easy and efficient and I believe the companies using ExecVision will provide more coaching to their reps. and improve call performance. There are several call monitoring systems out there. I like the ability to be able to provide feedback at the exact place in the call feedback is needed. The reps. enjoy getting the feedback and send calls regularly. "It does what we need it to do"
The transcribe feature is a bit buggy. It confuses when our rep is talking versus when the prospect is talking. Also, this next part isn't really a dislike, but more of a product request, but it would be great if the software had a feature that can distinguish false positive words from a conversation about the business, and just small talk. This is being used for our SDR team and ExecVision gives us the opportunity to understand the messaging that is being conveyed to our leads, and making sure they are consistent with what we are putting out through marketing to encourage a consistent sales language. "Very user friendly and allows for real time adjustments, which is sales is everything. " The best thing about the tool is it is very user friendly and did not take much time on my part to learn how to use which makes it easier to use since I do not have to waste time trying to learn the tool. ExecVision has been a major pillar in my coaching sessions with my manager and I can adjust the way I am pitching our product to potential prospects. If I feel like a call I had went bad I can collaborate with my management team or other colleagues and get there feedback on what went well and what I can improve on. All in all the next time I pick up the phone I am better than I was before because I am allowed to adjust in real time which has helped me book more appointments and be better on the phone. It is a great product and I love using it! I have only been using ExecVision for a few months and I have not found anything that I dislike about it. ExecVision does exactly what it says and I have had zero complaints. We needed a software that would allow us to share our phone calls with our management team and our department as a whole so we could coach to the problems we were seeing on the phone. "Efficient and Helpful Tool for Learning"
Within the system I am able to double check information and critical details before a conference call or meeting. I can also get feedback from my peers & Leadership...even from those who do not have access to the ExecVision system. So helpful to learn more ways to tweak my talktrack and hold myself accountable for personal progression. If you want to become more efficient and save time with coaching or pulling calls. You have to implement this solution, or you'd be truly missing out! I have been able to squash field rep conflicts when someone outside my network is trying to cut themself=ves in on any deals I have. Not only documenting thecall fully, but allowing me to send clips and notes from which I want to share. Thank you so much for taking the time to give us feedback! We’re so happy to hear that you are getting value from ExecVision and enjoying all of its features. Above all else, we appreciate your constructive feedback around our software. As always, if you ever have any questions, comments, or suggestions, email support@execvision.io. We are always here to help! "Useful tool if utilized properly"
I love the design of ExecVision. I think that it is easy to use and can be very helpful for Inside Sales professionals like myself. This tool, through no fault of it's own, allows Sales Leaders and Managers to micromanage employees in another way. The tool itself can be abused a bit by Managers. A huge problem that I have solved with ExecVision is my occasional lack of note taking. If I look back at my notes after a call and realize that I didn't take detailed notes, I can simply listen to the ExecVision and refresh my memory on the call. This has been immensely helpful. "I was promoted thanks to ExecVision Feedback"
I'm able to highlight different parts of the call (ex: intro, next steps, etc), the ability to put in my own notes, and it allows my manager to leave notes for me. Originally, I struggled with running reports but after some training it became much for intuitive. Moreso, being able to get immediate feedback after getting off a call with a prospect. We have the ability to break the call down and address each objection the prospect presents. EXCELLENT for training. "Sales call analysis made easy"
I like how easy it is to go back and review previous conversations, its very helpful to see who the call was with through salesforce. I also like how keeps track of how often you say certain trigger words/how you can see how many times you say filler words like "um" and "like. I also like how easy it is to share certain calls with peers, and how it gives the option to highlight just certain parts of the call. It makes it much easier than it was before when we had to search through call times and guess on who the call was with/whether or not the conversation was relevant. I dislike that you can't go back and edit how the initial call was logged i.e. whether it was a positive or negative decision. I would recommend using the product and also taking great notes while you are on the call to make it easier to review later. Execuvision is solving problems by making it much easier to track and analyze call quality, however I would like it if there was a way to group conversations. It has been helpful for me personally because after reviewing my own calls, have realized that I personally use a lot of filler words and tend to dominate the conversation. Thank you so much for taking the time to give us feedback! We’re so happy to hear that you are getting value from ExecVision. Above all else, we appreciate your constructive feedback around the call logging feature, in regards to the ability to change what calls are logged as. This feature request is actually on our product roadmap--as we get closer to addressing it and roll it out, we'll keep you in the know. In the meantime, if you ever have any questions, comments, or suggestions, email support@execvision.io. We are always here to help! Having this kind of visibility into a reps' daily calls takes the guesswork out of coaching. When I search by user name, I often get calls that happened months ago populating the top spots. I'd prefer it to show top down from most recent. Making coaching a much more scalable process for my team. It's hard to diagnose a problem in sales calls if you don't have complete visibility. I'm able to get through more 1 on 1's with much greater substance now. ExecVision allows me to easily coach my sales reps and interact with them regarding their sales calls. 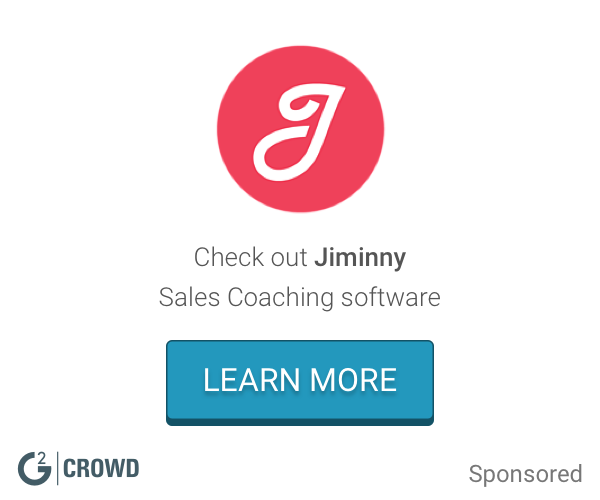 There really isn't anything to dislike about this sales coaching tool. ExecVision has allowed me to coach my teams sales call more effectively and has also engaged the sales reps in the coaching process. Before ExecVision I had very little time to find, download, and listen to sales calls. Now everything is in one place and my sales reps can identify key calls, comment and score their calls before I listen to them so we can create real dialogue around their performance. Thank you so much for taking the time to give us feedback! We’re so happy to hear that you are getting value from ExecVision. If you ever have any questions, comments, or suggestions, don't hesitate to email support@execvision.io. "Great tool for coaching to Reps"
ExecVision has done great things for our department and being able to coach to reps strengths. It provides great functionality and ease of use as it syncs well with our prospecting tools. I would highly recommend this to use as a coaching tool. The only thing I think that would need to be improved would be being able to share the call it is a little bit confusing to figure out how to share and once you do share the call if you are sharing with someone outside of the org you have to mainly type the email and then click on it and seems a little confusing while doing it. We are helping our reps become better on the phone by decreasing verbal fillers, over come objections, and see where they might be able to ask questions. "We are just in the beginning. " I like that it helps build a culture of improvement and that people aren't ashamed to fail or improve. Each we we have members of our team submit two calls and we go over them in our 1 on 1s. I like that you can listen and comment on calls and the best part is you can search certain words like "ummm"or "Uhh". It makes for a great coaching tool. It is still early to tell what we dislike. Overall the implementation and training team have been great. We are coaching how to make cold calls, Because we listen to calls and make a mark on them, reps are able to go back and list to their call and self-diganose. "Quality Assurance Through the Roof"
ExecVision is seamless and allows you to upload and share calls through multiple sources. The ability to go back and highlight/make notes makes review and training/learning much easier. There aren't any tips, SOP's or other best practices built into the service...so the learning only comes from sharing a call with a manager/colleague who can then give you feedback. Execvision does the work of recording and providing a platform to analyze, but if you don't have any processes in place to actually utilize these, then value return will not be as far reaching. Exec-vision is capturing our calls so that we have a recording to go back to. These recordings are being used for weekly training that is helping us improve our phone conversations and become better reps. Thank you so much for taking the time to give us feedback! We’re so happy to hear that you are getting value from ExecVision. Above all else, we appreciate your feedback around including tips and best practices within the platform. This is a feature request is actually on our product roadmap - as we get closer to addressing it and roll it out, we'll keep you in the know. We do have some blog articles that cover best practices. If you have any specific requests regarding best practices, email us at support@execvision.io and we would love to provide additional resources! Love that you can search for common fill words and other words to coach yourself and others through. I do not like how the filtering works. It is a little confusing to go to the advanced search and then use the filters on the left. Buy it. This is an amazing product that will improve your overall results. By using ExecVision, I will have more strategic calls and learn from past experiences so that I can close business quicker. We really appreciate your constructive feedback around the advanced search feature. It's an important element of ExecVision and we are always looking for ways to enhance it. As always, if you ever have any questions, comments, or suggestions, don't hesitate to email support@execvision.io. "A way to listen and learn"
Helps you to hear your strengths and weaknesses and improve cross functional communication to ensure that you are compliant and delivering on ROI on the client side. The way the scorecard is set up you have to score your card before you can see another's comments. Take the time to review your calls. If you take the time it improves your skill level and the realization that you can hear other talent and their approach and incorporate it into yours if you see fit. In the past it was difficult to hear myself however I see the improvement over time when reviewing and making adjustments. My manger uses it regular to coach and teach. "How did I not know about ExecVision until now"
ExecVision is SO cool. I absolutely love the ease of the tool, how I can request feedback and send just 'highlighted' portions of my call to my manager. If you want the ability to play back conversation, close the gap and dive deeper into prospect conversations... this is the tool for you. The ability to always be learning and acquiring feedback from replaying my calls. "So far it is been extremely helpful for remembering what I've talked about with clients and review"
I like that I can very easily see which call is which, I can easily move through the call, and I can annotate my calls with ease. It seems that there may be an issue with the technology that determines who is talking when, so the percentage figures of who is talking the most are highly inaccurate. I look forward to those things functioning, because that is a cool feature. I have been able to review my own calls and hear the way I sound on the other end of the line, which has been extremely helpful in my efforts to sound more and more professional and reliable over the phone. Thank you so much for taking the time to give us feedback! We’re so happy to hear that you are getting value from ExecVision with the call annotating features. Above all else, we appreciate your constructive feedback around our software. In terms of our transcription features, including talk-time ratios, we see improvements every day with our AI and machine learning initiatives. Sometimes, if both voices on the conversation are similar, or if there is significant background noise, the software has a difficult time differentiating the two individuals on the phone. As we get closer to addressing these issues and roll out new improvements, we'll keep you in the know. "Wonderful call review software! " My favorite part of ExecVision is how I can highlight specific pieces of my call to share with my manager. This really helps us drive into areas that need improvement without having to listen to an entire hour long call. Another one of my favorite features is being able to share pieces of my calls with my colleagues. This allows us to learn from each other on messaging that works well and has an impact with our customers. Sometimes my comments/highlights don't align with the exact timing of the messaging within the call. I would highly recommend ExecVision for call coaching. It is very easy to use and a a great tool for our sales department. Highly effective call coaching sessions with my manager. We can review snippets of my calls without having to listen to an hour long phone conversation which saves everyone time and allows us to stay focused on areas that need most improvement. "ExecVision has streamlined the call sharing process of myself and my team. " The ease of use is the best. The simplistic nature of being able to find, review and share calls is the best part of ExecVision. As well as having the ability to set certain criteria when searching for a call or even searching for certain word that may come up often during a call. To be perfectly candid, there isn't much I do not like regarding ExecVision. As I stated prior, the ease of use is something that blows me away and having the ability to search specific words that may be used frequently. The only thing that I may dislike, is something that ExecVision may not have any say around and that is the call recording in certain states. Obviously different states have different regulations when it comes to call recording. Give it a shot. If you are in an industry that you would need to review and annotate calls, do it. The ease of use is something anyone can handle. Whether they have years of experience or are brand new to the industry. The biggest business problem that is being solved with ExecVision is going back a checking information. To have the ability to easily go back, pull a call recording and double check in information that was given saves a ton of time. "Important tool for anyone in sales"
Its a great tool and I would highly recommend it to anyone who wants their sales team to learn and grow by listening to calls. 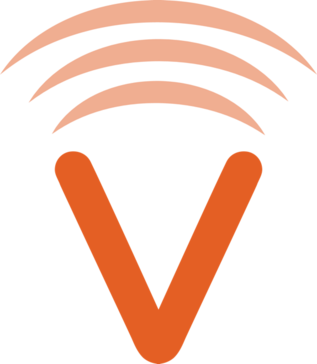 "ExecVision is the most helpful and affective tool for phone recordings." I love being able to listen to my calls so I can hear where I can improve anything. I also love that it helps how I am on the phone in general. I dislike how I have to wait one or two days for a certain phone call to upload, but I can understand that the program is being used throughout and entire company. Listen to your calls and it'll help you improve daily. Making calls shorter and getting more dials in throughout the day. I've been doing extremely well at work ever since this program came into place. Thank you so much for taking the time to give us feedback! We’re so happy to hear that you are getting value from ExecVision and enjoying its features. Above all else, we appreciate your constructive feedback around our software. In terms of calls being pulled into ExecVision, we run a sync multiple times an hour. If you find that a call is taking a particularly long time to surface in ExecVision, please email our support team <support@execvision.io> and we will look into the issue. If you ever have any questions, comments, or suggestions, email support@execvision.io. We are always here to help! "Easily Visible Call Training Solution"
That it automatically captures our calls from SFDC. It also analyzes the words to show the "Um's", "ok's," and other clutter words. Not very easy (in our current configuration) to view other calls of our other teams. Make sure you work to set up the configuration as best you can to insure that it's setup exactly as you would like. It allows me to accurately understand what is working with prospects and what is missing the mark. It further allows me to help train my new colleagues by letting them listen to both successful and unsuccessful calls. Thank you so much for taking the time to give us feedback! We’re so happy to hear that you are getting value from ExecVision--we love the keyword feature too. We have flexible and customizable viewing permissions, and BMC's leadership has set 'view self' permissions for all reps. In the library, however, you can access 'best practices' calls identified by your managers. Please follow up with your manager to see if we can have your viewing permissions changed--we'd be happy to do that. "ExecVision is a great path to self-improvement"
The best parts is that first you can review your calls and others' calls in the library to get insight on the pitches. Secondly, I love how you can put highlights, scorecards, and comments to be able to review it yourself and with your bosses. The only thing I do not like is that I can't view calls from California, but I know that is more than just an ExecVsion issue. Understand how ExecVision works to show you how great of a product this actually is! How you can see the ratio of talk time throughout the recording. That paints a clear picture of how the conversation went and sales skills. I dislike in the delay until i can access the recording. If I could access it immediately that would be fantastic. We are able to fine tune sales skills and phone competencies. I look at this as being similar to how a sports team would watch film. Thank you so much for taking the time to give us feedback! We’re so happy to hear that you are getting value from ExecVision and enjoying the talk-time ratio feature. Above all else, we appreciate your constructive feedback around our software. "A great coaching tool and learning resource"
I love that I can listen to my employees calls, give them feedback and it makes it easy for them to see the feedback. I do about 20 calls a day and Execvision makes it easy to leave notes. The only thing I wish was available was listening live, and converting the files to PDF or audio files instead of just e-mailing. I would do it. It's a wonderful tool especially in the business of telecommunications and marketing. I can see it being used in many different industries. None really at this time. "User Friendly and Informative Tool"
I like how user friendly the review,, comment, and highlight features. I enjoy how easy it is to share calls with colleagues. I also enjoy the scorecard feature and how easy it is to see others feedback. Not a lot of complaints on my end. The library sometimes does not load the most recent calls properly and can require 2-3 refreshes before it works properly. Other than that, no complaints over here. Sales tactics and overall strategy. Being able to review game tape is incredibly useful for my personal future growth. "Customer success manager using ExecVision for call quality control"
I like that any calls that my team makes in Talkdesk are automatically uploaded to ExecVision, and I can easily annotate, share, and rate them. I actually like ExecVision but I don't like reviewing calls. It takes a long time for me to review calls and I don't enjoy listening to my voice or my team members as they talk on the phone. The call library tool could be improved too, with more organization in the libraries themselves. Call quality control problems. Benefits = keeping team members accountable to their calls. "Great to review your talk track and identifying inflection points you missed." The ability to share calls with a coach, a real coach. It gives you the ability to practice with lower level individuals then apply information with decision makers that you may have missed. Personally it seemed that the process to share the information was labor intensive. It can take a good bit of time to categorize and multiply that by several calls a day. Keep trying to cut time to manager review down, based on call volume. I like the way we can identify filler words (um, like, etc). I like how managers can view your calls and give you immediate feedback to reform your talk track/s on your next call/s. I don't think that I can address anything that is wrong or anything that I dislike about this system. Use this all the time!!! It will help you as you move through your career. I believe this system will not help you as a DM, but it will also help Managers address problems that they have within the organization and be able to better manage their team. "I enjoy Execvision, but sometimes the time for calls to sync over from outreach takes too long. " I enjoy the reviewing ability best! Placement of words in calls helps sales team with word choice! So great. Dislike the time it takes for calls to sync over from outreach software. Really enjoy certain features more than others, for example the call review is great but the sync time takes too long frequently leaving call reviews to be held later when they would ideally be immediately or at least close to it depending on the situation. In terms of calls being pulled into ExecVision, we run a sync with Outreach multiple times an hour. If you find that a call is taking a particularly long time to surface in ExecVision, please email our support team <support@execvision.io> and we will look into the issue. "Crucial software for your sales tech stack!" Ability to mark up your calls. The Topic/Keyword search is epic!!! Game changer for reps looking to work on messaging/cut out filler words. Sharing capabilities could be better. Tags feature is lacking as well– not totally useful in my opinion. Get it! This is super necessary for any manager looking to improve the coaching process in their organization. Call coaching. It has made sharing calls with my manager way easier and allows us to identify trends in my messaging. "If you are serious about call coaching, ExecVision is a must have"
"ExecVision has changed our business"
ExecVision has allowed us the ability to have our sales representatives self-diagnose areas needing improvement one which is much more effective than a Development Coach or Manager pointing out what we see needing improvement. In addition, it's time well spent in listening to actual conversations rather than real time call listening trying to catch a conversation. There are very few things that I dislike about it as they are always making improvements to the system based upon customer feedback. Increased coaching opportunities and implementation of suggestions from coaches and managers. I don't have actual figured but I'm sure that our productivity has increased dramatically since implementation. training, i am new and my mentor is in a different state. I have felt isolated as far as learning how to talk to clients. With this system it no longer has to be trial and error. I can actually ask for help on calls i have already made. "Great for self reflection and self coaching. " I like that it can show me the my weak points regarding tonality and soft speak skills that I wouldn't otherwise have realized. I'm not super excited it allows everyone to listen to me sell...I would like it much more if it were used exclusively for training. Just problems with pitch, tonality, soft speak, and it helps to highlight the moment of any call where you lose a prospect. That's very helpful. "Sales Call Training and "
The keyword search and identifying "uhhms" and "uhhhs" and more importantly the buying keywords that you can search for. Once a demo is recorded you have a limited time to upload it into ExecVision which is not always something a sales rep can stop to do during their busy day. "Valuable tool for Management-led and self-directed review"
the fact that I have the ability to go back into a call and critique it myself- I'm my own toughest critic, so Execvision helps me fine tune and revise my sales methods on a continuous basis. I've only been using this solution for a few weeks- no issues yet. Looking to refine my sales pitch. My manager has been able to coach me on weaknesses and refine my talk track(s). "Excellent tool for review and coaching!" This is a very easy way to pull calls and learn from things that YOU said! You can even track how many times you say "um" and improve on your talking skills! Some calls are not recorded and some calls are misclassified whenever there are dialer issues. I am looking at my 80/20 talk time and how clearly and confidently I speak. Immediate feedback, technology features. Like the app like feel and ease of use. It integrates perfectly into Salesforce and our InsideSales.com Platform. Its cut down the amount of time it takes me to listen to call recordings and I love that I do not have to download the call in order to listen to it. That saves room on my hard drive! sometimes doesn't pick up the appropriate person speaking, whether DM or client. Word recognition isn't always accurate. Fantastic tool for coaching purposes and resonates well with millennials! Thank you so much for taking the time to give us feedback! We’re so happy to hear that you are getting value from ExecVision and are using the app! Above all else, we appreciate your constructive feedback around our software. The ability to score, review and submit my calls to management. I also love that i can color code sections of my calls and just send the "snip" of a call to anyone. Thank you so much for taking the time to give us feedback! We’re so happy to hear that you are getting value from ExecVision--we love the annotation features, too. We have flexible and customizable viewing permissions, and some of our customers' leadership has set 'view self' permissions for all reps. Your review was posted anonymously, so I cannot speak to your company's specific case. Please follow up with your manager to see if we can have your viewing permissions changed--we'd be happy to do that. In the library, however, you should be able to access 'best practices' calls identified by your managers. I love that our reps can now have a training focus.We’ve worked very closely with Steve, and Execvision has been an absolute game changer for us. honestly nothing. It's fantastic software. New features being added regularly as well. Absolutely use it. You will have more effective training, in less time. Fantastic software that has helped us switch from holistic coaching (listening to and commenting on entire calls) to modular coaching (listening to and commenting on, for instance, a rep discussing “Next Steps” across 10 calls all at once). This has made an enormous difference in our ability to affect lasting improvement, with limited coaching resources. Call review for sales team. This allows my calls to be analyzed internally by team members. "The only way to effectively perform call coaching"
I love the ability to speed up and slow down the conversation. Also, searching for common used words is a handy tool that I can't live without. Everything is seamless from the automatic upload to the sharing portion. No real dislikes. Everything I need is pretty much there . Search filter is great, highlighting and sharing are great features. We mainly use Execvision for call coaching. We are able to better identify areas of improvement and have examples to lean in on. * We monitor all ExecVision reviews to prevent fraudulent reviews and keep review quality high. We do not post reviews by company employees or direct competitors. Validated reviews require the user to submit a screenshot of the product containing their user ID, in order to verify a user is an actual user of the product. Hi there! Are you looking to implement a solution like ExecVision?